Increase your effectiveness through alignment of the Business and IT. The objective of the simulation is to create understanding for Business-IT Alignment in an enriching and fun environment. Your team leads the IT department for one of the world’s largest Pizza companies. The mission is to support the business with IT services of high quality. The marketplace is competitive and the Business needs to develop attractive products, start new sales campaigns, cut costs, and offer effective order and delivery methods. All of this can only be done with the help of better and more business-oriented IT services. The objective of this simulation is to increase awareness regarding how business demands affect IT and how the business must work in partnership with IT in order to meet these demands. In the simulation, the team must manage limited resources and make quick and correct decisions which create the maximum value to the business. At the same time, IT must manage service interruption and risks tied to rolling out untested technology. The best pizza teams succeed in meeting the challenges and via seasonal pizzas and Super Bowl campaigns save Grab@Pizzas year-end. People learn differently, and one of the most effective means is through practical experience. Seldom is learning more effective than immersing oneself. By taking responsibility for a concrete dilemma, we activate ourselves and learn more by doing than simply reading or listening. 1. Acting and performing, practical experience. 2. Reflection, understanding, changing perspective and critically analyzing established patterns. 3. Formulating newfound understanding, linking it to best practice, and transferring knowledge to a new working method. Teams start the simulation with an existing Grab@Pizza organization. Finances for the year s first 6 months are inherited, and the assignment is to manage them optimally for the simulation s upcoming months 7 to 12. Beyond the financial results, the team also inherits a number of incidents, actual delivery levels, and some new business demands. The challenge is to immediately create balance and save the second half of the year. The team analyzes the current organization and financials. Together they agree on appropriate adjustments and improvements. The team determines roles that are needed and the number of resources. Resource allocation will have bearing on productivity for development, processes and the Service Desk. Based on the strategic decisions already made by the team, the game leader will present new conditions such as new business demands, workloads, new technology and new incidents. The team is to even prepare a report to upper management. The team will reflect over their results and effects of their decisions and investments. Further improvements are also determined. demands all of these are summarized for final analysis and discussion. The simulation is designed for a group of optimally 7 to 10 participants per simulation, where 2 to 3 take roles in the business and the others build the IT department. Several teams/simulations can be played simultaneously. 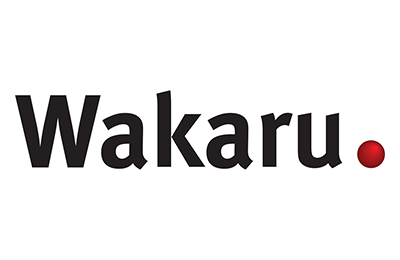 Wakaru provides all necessary resources for the simulation, including game leader. The simulation is normally led by one game leader. If so desired, the simulation can be configured as a team building activity or kickoff in conjunction with strategic planning. Other activities such as separate venue, dinner, pub, overnight stay, etc. can be arranged. Call us for your pizza delivery! Please call us with questions and an order for your favorite pizza! Grab @pizza is designed by and registered to Gaming Works BV. Game is delivered via Wakaru’s partner Onbird which is a licensed partner of Gaming Works BV.